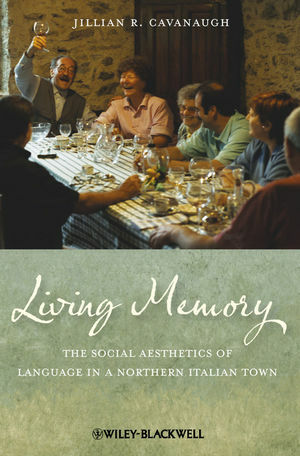 Living Memory investigates the complex question of language and its place at the heart of Bergamasco culture in northern Italy. Jillian R. Cavanaugh is Associate Professor of Anthropology at Brooklyn College CUNY. She has published in a range of journals, including Language and Communication, Ethnos, and the Journal of Linguistic Anthropology. Constructing Transcripts: Orthographic Conventions and Transcription Processes. 2. Bergamasco in Use: The Feel of Everyday Speaking. 4. Bergamasco on Stage: Poetry and Theater. 5. Modern Campanilismo: The Value of Place. 6. Bergamo, Italy, Europe: Speaking Contextualized.